Arrived in Ullapool to a wild shoreline . This week sees some of the highest tides of the year which is very exciting and means a bigger area to scour between the tide lines. 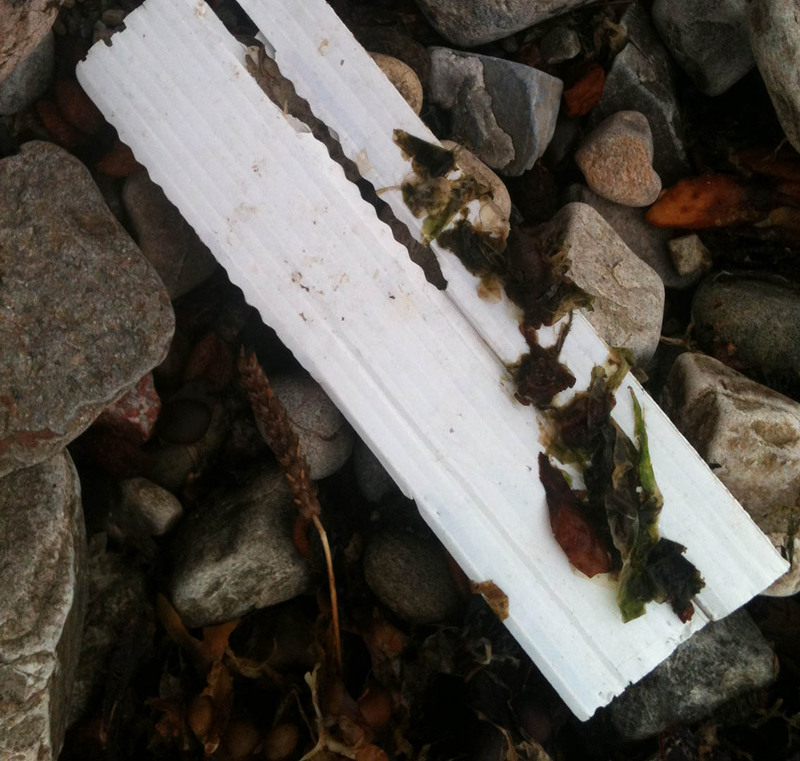 Good news for the surveying with Ullapool High School pupils on Wednesday. I had my first meeting with people who are involved with existing beach cleaning in the area. Debbie the local SYHA manager has undertaken many along the shoreline of the harbour, she also told me about many initiatives they undertake in the hostel to encourage backpackers to recycle and bin used materials and how Ullapool has signed up to the Keep Scotland Beautiful campaign ‘Cottoned On’ which aims to reduce plastic bag usage. 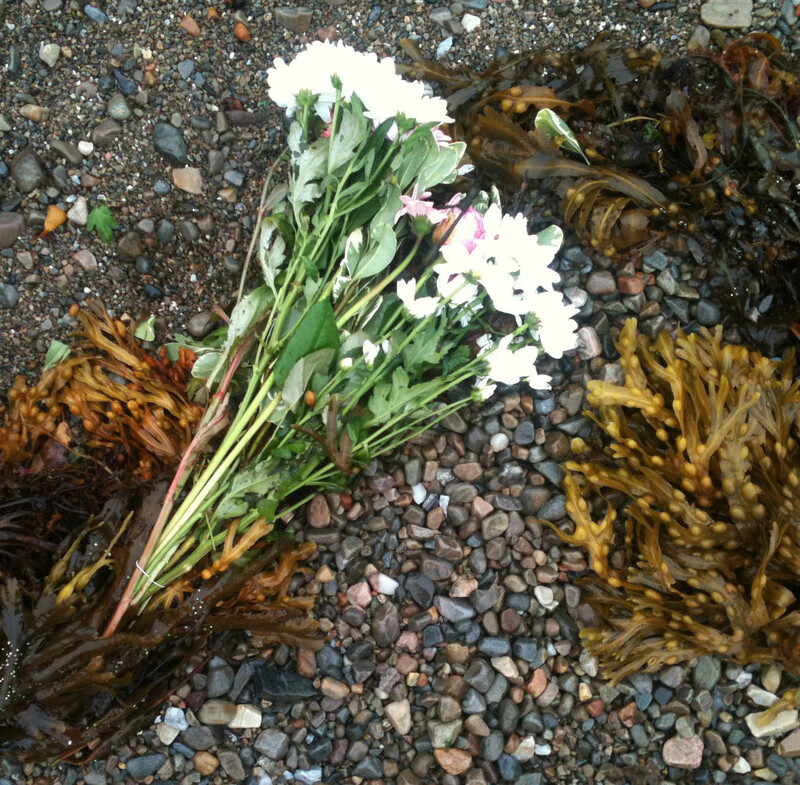 Surprisingly my first walk on the harbour strand line presented me with a bunch of flowers! 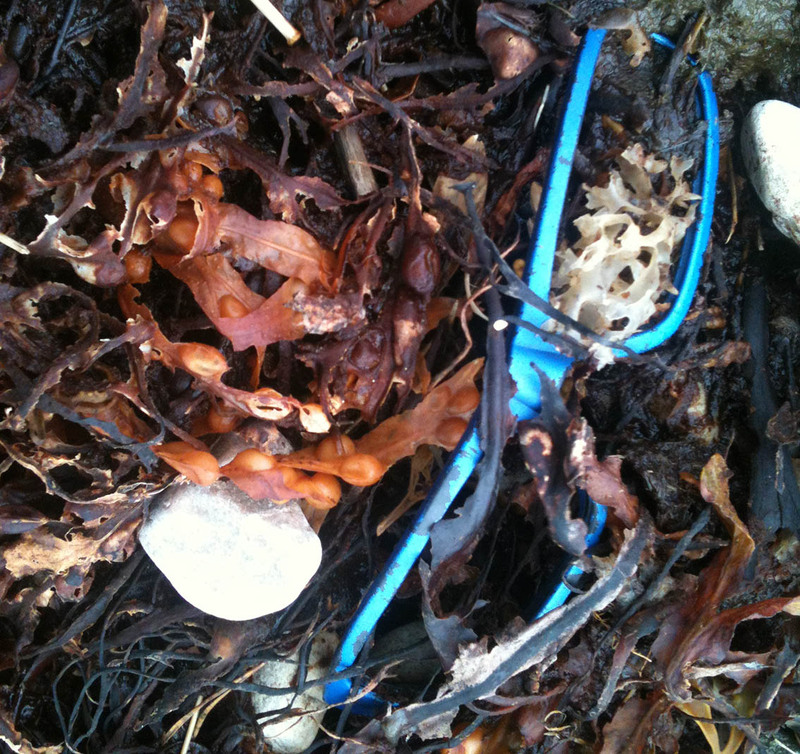 Sadly on my next foray onto the beach approximately 2 km north close to the mouth of the Ullapool River, the first few metres of seaweed held a pair of sun glasses, rope and a section of a corrugated box all made from plastic…..as was most of the objects noted along my 100m walk. The first of many to be recorded. I leave my studio tonight happy, feeling well supported by everyone at An Talla Solais. 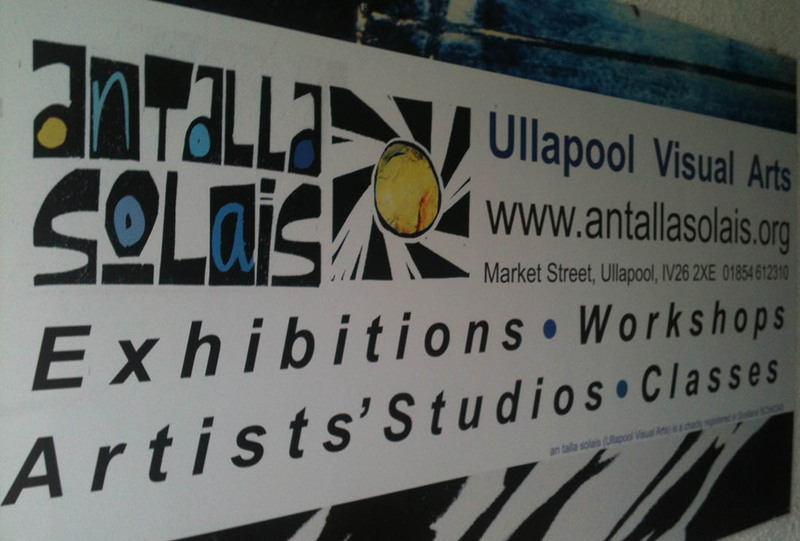 It is a fantastic resource for a community to have and gives a warm welcome to both visitor and artist.